Have you ever had one of those days when you’re unable to focus on those tasks and results that were most important to you? Technology, although wonderful, has given others 24/7 access to you through voice mail, email, texting, and cell phones. Answering messages in your email inbox could wipe out precious prime selling time by distracting you to address what’s most important to others. Your inbox is an easy organizing system for other people’s agendas—not necessarily yours. Just think for a moment of how many emails you receive, even after being screened for junk or spam. It can often be easier to answer an email than make a prospecting call, but it is obvious which action will benefit you the most. 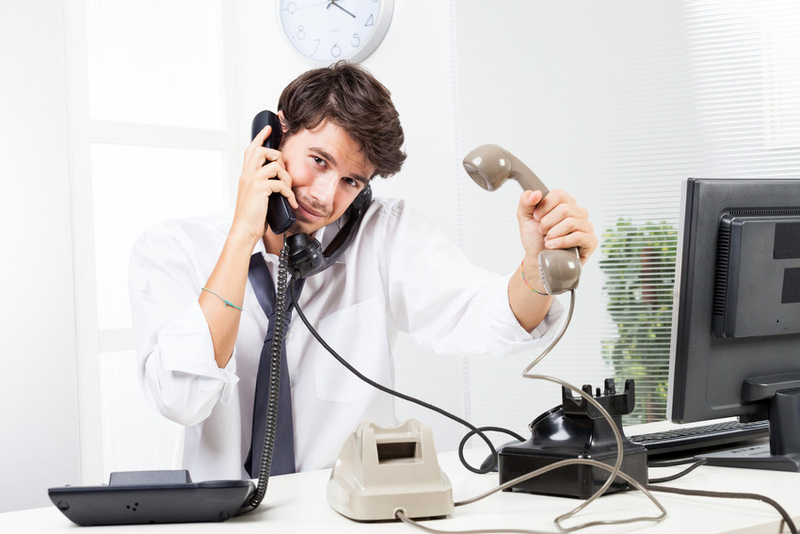 Incoming calls can also have a negative impact on your ability to succeed. Your destiny should be controlled by your planned outgoing calls vs. the incoming calls. You have to ask yourself: who calls you most? Often it is the LPC (Least Placeable Candidate) you will never place in a job because they don’t have the skills, stability, and experience your clients want to hire. Each conversation, every molecule of free advice, and any time spent on the 95% of candidates you will not place is costing you a fortune in possible production and income. Now let’s address solutions for your inbox and incoming calls . . . Create and follow an email policy that you and your team establish. If you are not working a fast-paced, high-volume temp, clerical, call center, or light industrial desk, there is no reason that you need to answer emails as they arrive. Answer them three times throughout the day (i.e., early morning, over lunch, and at the end of the day). It’s amazing the amount of time this puts back into your day to focus on your priorities. Share your email processing information with your clients and candidates. This way, they’ll understand the benefit to them and don’t expect to receive an immediate response. Tell your candidates that throughout your day, you are marketing their skills to potential employers, which is why you’re not answering email as they arrive. Inform clients that you are networking for top talent during the day. However, if they need to reach you, rather than email, tell them to call your office and tell whoever answers the phone to interrupt you no matter what you’re doing. This makes them feel like a top priority, and they will appreciate the fact that you are networking for top talent daily. It’s interesting that response time to answer emails keeps increasing, while response time to texting is almost immediate. This is obviously another way to communicate with candidates and clients, but you never want to abuse the privilege. The recruiting and staffing profession places less than 5% of the candidates attracted to you, your website, and your firm. The other 95% should be provided with resources that give them something to do. If you provide free advice, they will continue to call. So don’t do that. Provide them with resources instead. If you provide them with resources, they are less likely to call you back. That’s because they’ll fear that you will ask what they were able to accomplish. Follow the advice in this blog post, and you will focus on the priorities most important to you, which will elevate your level of success.